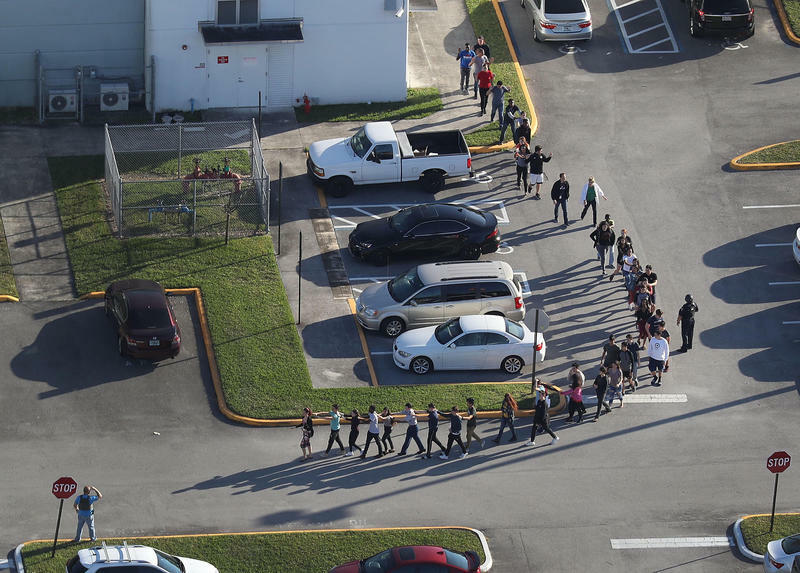 Do Maine Leaders Have More Than 'Thoughts And Prayers' In Wake Of Florida Shootings? President Donald Trump, members of Congress and state lawmakers were quick to react to another mass shooting — this time at a high school in Parkland, Florida. By a one vote margin, the Maine House has supported legislation that would allow cities and towns to regulate guns in municipal buildings and polling places. Rep. John Spear, a Democrat from South Thomaston, says it’s the fair thing to do. Opponents argued that the bill is not needed. AUGUSTA, Maine - Maine lawmakers are preparing for a day full of hearings on gun legislation that includes a bill to prohibit the creation of a registry of firearms owners. The Legislature's Criminal Justice and Public Safety Committee on Friday will consider bills sponsored by Republicans and Democrats with ideas ranging from lowering the age requirement for a concealed handgun, to requiring gun locks with every new firearm purchase. One Democratic legislator's bill would allow municipalities to ban guns at voting booths. PORTLAND, Maine - A protest by U.S. House Democrats continued this morning as Republican leadership adjourned the session early and departed the chamber. That was a move Maine 1st District Rep. Chellie Pingree says runs counter to the democratic process. Pingree was among those who joined in the protest, which eventually came to an end early this afternoon. 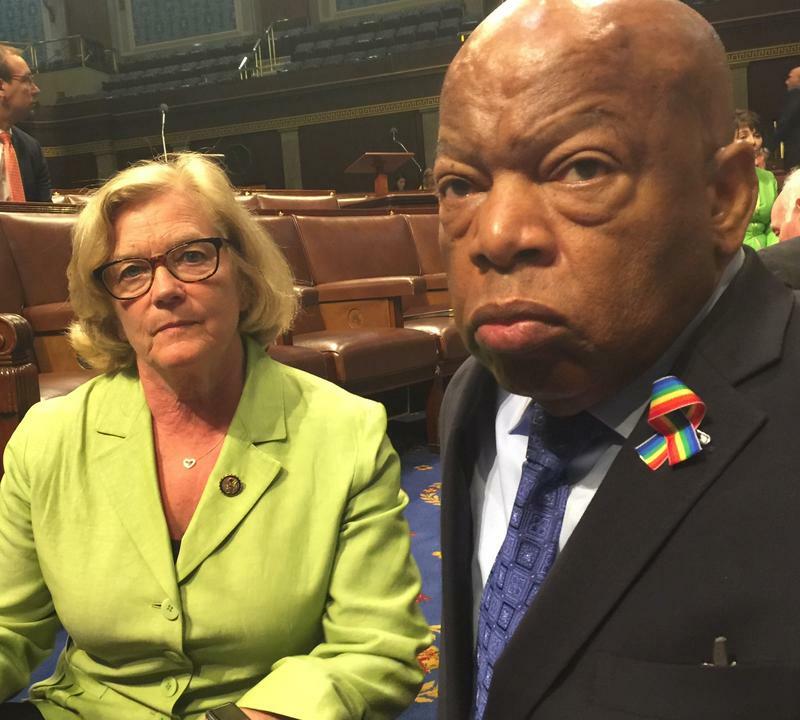 Fred Bever reports on the U.S. House Sit-In. Democrats in the U.S. House literally took the floor Wednesday morning, staging a sit-in to demand a vote on proposed gun control legislation. Maine Congresswoman Chellie Pingree was one of the first involved. Maine Senators Susan Collins and Angus King are making another run at getting a gun control measure through the gridlocked U.S. Senate. On Monday the Senate tried and failed to pass dueling proposals to expand background checks and to bar suspected terrorists from buying firearms. Now the question is whether Senator Collins can rally support to a new proposal. “Surely the terrorist attacks in San Bernadino and in Orlando that took so many lives are a call for compromise, a plea for bipartisan action,” Collins says. ORONO, Maine - A survivor of the Virginia Tech shooting is sharing his story in hopes of garnering support for a firearms background check proposal set to appear on the Maine ballot in November. Colin Goddard spoke at the University of Maine in Orono on Wednesday. Goddard was a senior at Virginia Tech when he was shot four times in April 2007 by Seung-Hui Cho. Thirty-two people were killed and 17 were wounded. Goddard says it's easy for people to buy guns, and that he's supporting a ballot initiative to expand criminal background checks to nearly every private gun sale. PORTLAND, Maine (AP) _ Lawmakers of different political stripes put aside their differences in Maine to strengthen restrictions on gun ownership for people convicted of domestic violence crimes. AUGUSTA, Maine — President Obama has issued his much anticipated executive order Aimed at expanding background checks for gun buyers. Reaction in Maine among dealers and the state's members of Congress is mixed. Fred Emerson wasn't all that impressed by the president's order. "I don't think what he is doing would have affected anything that has happened," Emerson says. 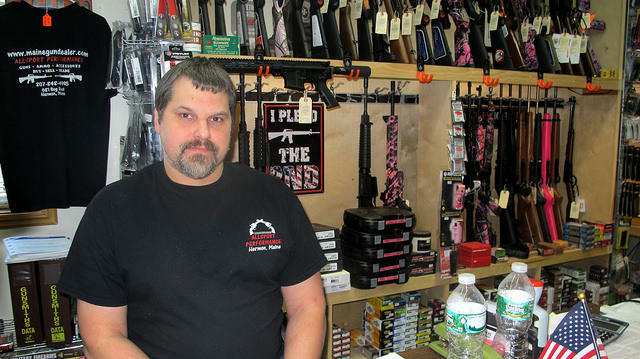 HERMON, Maine — One Maine firearms dealer says President Barack Obama's executive actions to tighten gun control are unnecessary and will not affect his business. Obama announced a series of measures at the White House today, including one that would force those who sell firearms on the Internet, and at gun shows, to be licensed and conduct background checks. Fred Emerson runs Allsport Performance in Hermon, where he sells a range of guns and ammunition. Obama's actions, says Emerson, aren't likely to stop mass shootings. WASHINGTON — U.S. Rep. Chellie Pingree of Maine's 1st District says while President Barack Obama's executive order expanding background checks will not solve the problem of gun violence, it is needed because Congress has not acted. "This won't stop every shooting but it could go a long way, and I think the president just feels a sense of frustration and believes it's partly his duty to act when Congress doesn't," she says. Legislation allowing apartment dwellers to possess a gun despite lease or apartment complex rules will be considered by lawmakers in January. Sen. Andre Cushing, a Republican from Newport sponsored the bill after a Rockland man, Harvey Lembo, shot and wounded an intruder in his apartment. PORTLAND, Maine - Gun control activist Gabrielle Giffords kicked off a nine-state tour, beginning in Portland Tuesday, to promote tougher gun laws. The former Democratic Arizona congresswoman - herself a victim of gun violence - is asking law enforcement officials and domestic violence prevention advocates to help her bring about the change she says is needed to protect women and children. Seeking common ground on gun control. 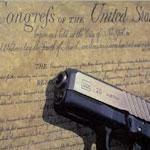 The Newtown shootings renewed the debate about about gun laws. 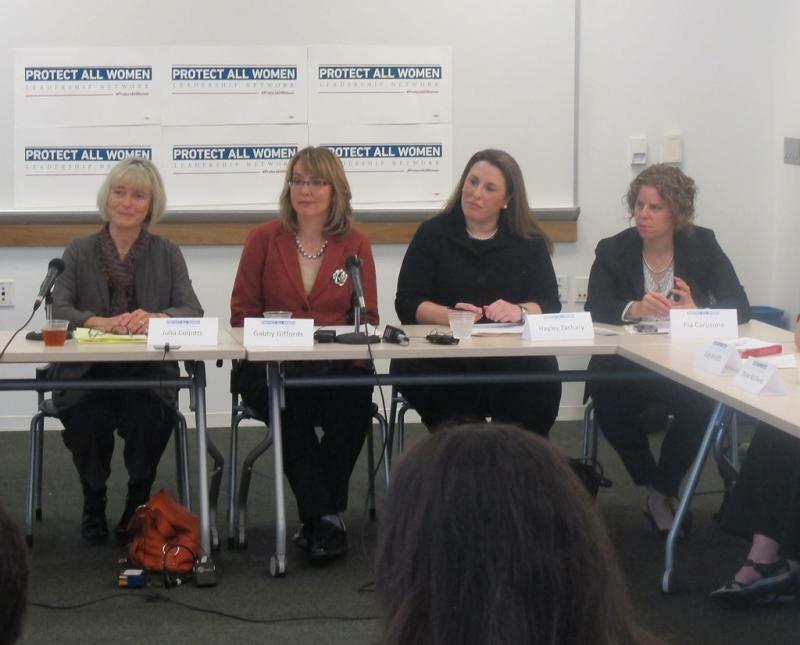 A panel of experts discussed gun ownership in Maine and possible steps to prevent gun violence.